Who should you choose for water heater repair in Spanaway? Going without hot water for an extended period is a difficult trial. While initially, it might seem like the main use of hot water is for showers and baths, there are many other uses for it too. It’s used for cooking, cleaning, and washing too, and having to manually heat up a pot of water–and risk getting it too hot–gets old fast. But you don’t have to worry about meticulously planning your water usage when you choose John’s Plumbing & Pumps, Inc for water heater repair in Spanaway. Our plumbers can work on any kind of water heater and will quickly locate the source of your problem and get it fixed right. 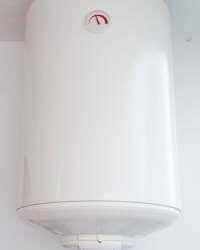 There are multiple kinds of water heaters? If you’ve had the same kind of water heater your whole life, you might not be aware that there are other options. Most homes have a large tank and a gas-powered water heater. Becoming more popular recently are tankless water heaters that have nearly instantaneous hot water but can’t provide as much at once. Other options include solar heaters, indirect heaters, and more. Most of the time, your water heater will lie unforgotten in a closet or basement somewhere at your property. But once it starts acting up, it can be extremely hard to ignore, and sometimes, downright impossible. Water leaking from the top or bottom of the unit signifies different issues. If the leak is at the top, the hot or cold inlet valve may be loose or broken, or the temperature and pressure relief valve might have stopped working. At the bottom, this may be due to condensation or a leak in the tank itself. Strange sounds such as popping, hissing, or loud bangs are often due to sediment building up. It can also be a side-effect of a leak or too much pressure inside the tank. Many times, the sounds are more annoying than they are harmful, but if they’re constant, you can always have a plumber come by to see if something has gone wrong. No or limited hot water might not necessarily mean that the unit has gone bad. If you have an electric water heater, check to see if the breaker is tripped. And if it’s gas, check to see if the pilot light is lit. If it’s neither of these, you may have a faulty heating element that will need to be replaced. 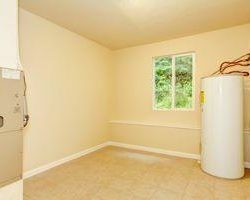 We can handle any kind of water heater problem in Spanaway! Depending on the extent of the problem, water heater repairs can be quick, easy, and cheap to fix, or complicated and expensive. If you’ve had the same water heater for decades, it might be more cost-effective in the long run to let our plumbers remove it and install an energy-efficient model instead. And if you need any other help with your plumbing such as professional drain cleaning, we’re more than happy to do that too! We won’t suggest unneeded services or repairs and try to save you money however you can. Call us today for the best, most honest plumbers Spanaway has to offer.